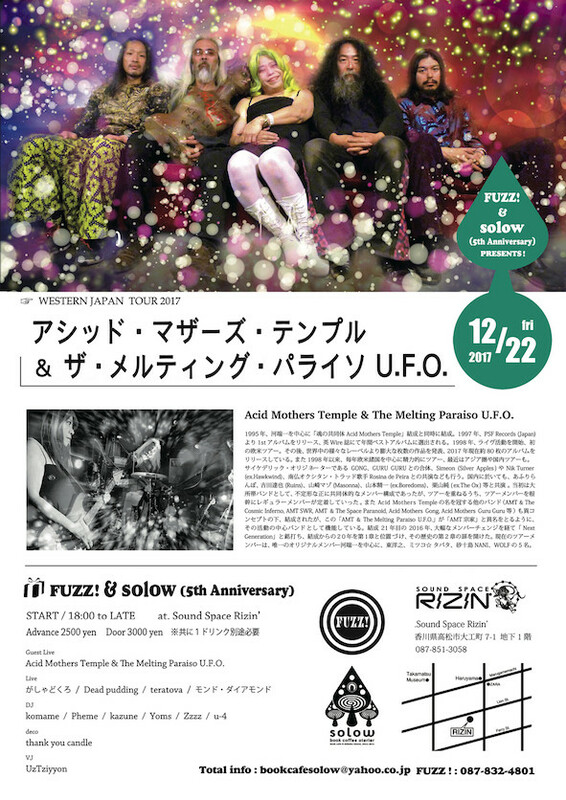 In this, the second year since we opened a new chapter in AMT’s history with the Next Generation, we played 40 dates over 39 days on our North American tour, performed together with the performance group Antibody in Kyoto, rocked a three-hour solo show in Tokyo, played 43 dates on our 16-country European tour, and toured Oceania and South America for the first time. And to round off the year, AMT will tour Western Japan! 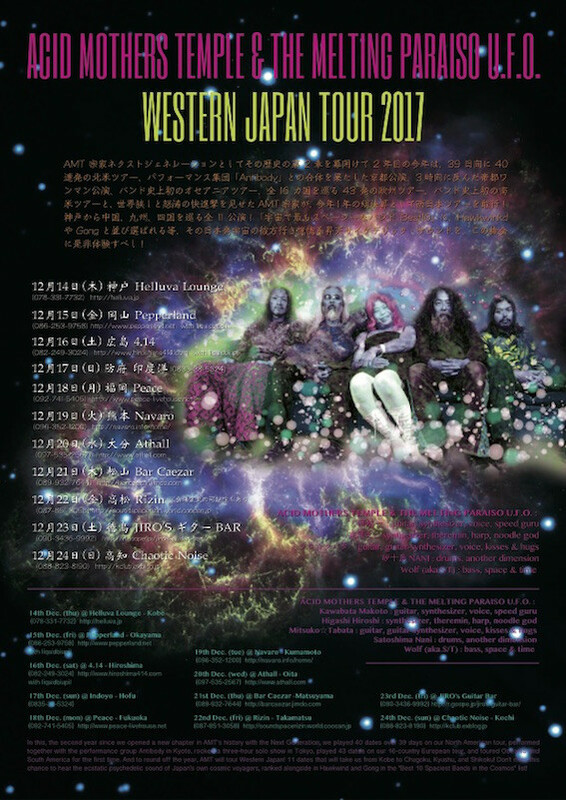 11 dates that will take us from Kobe to Chugoku, Kyushu, and Shikoku! 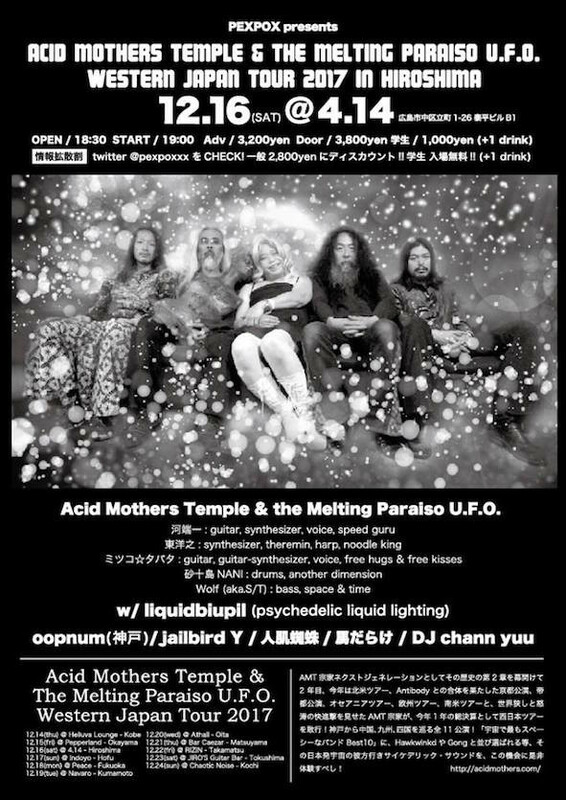 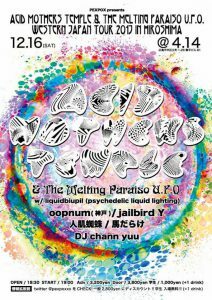 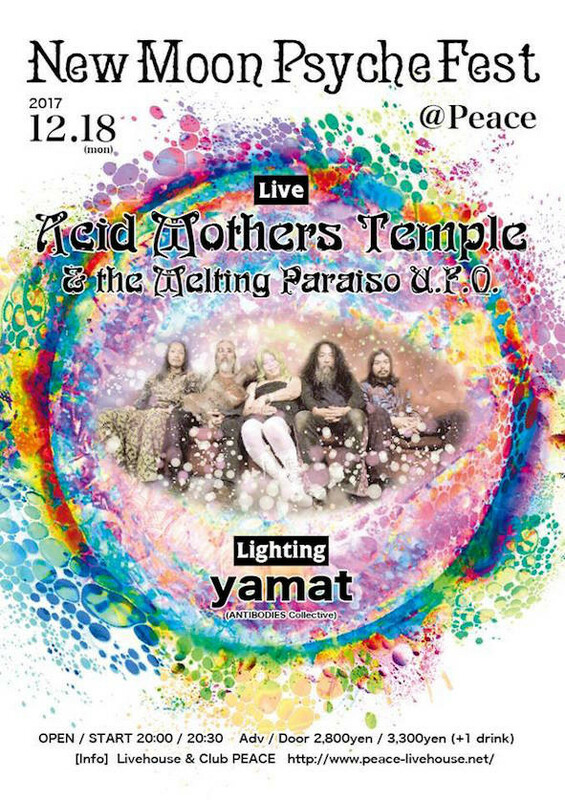 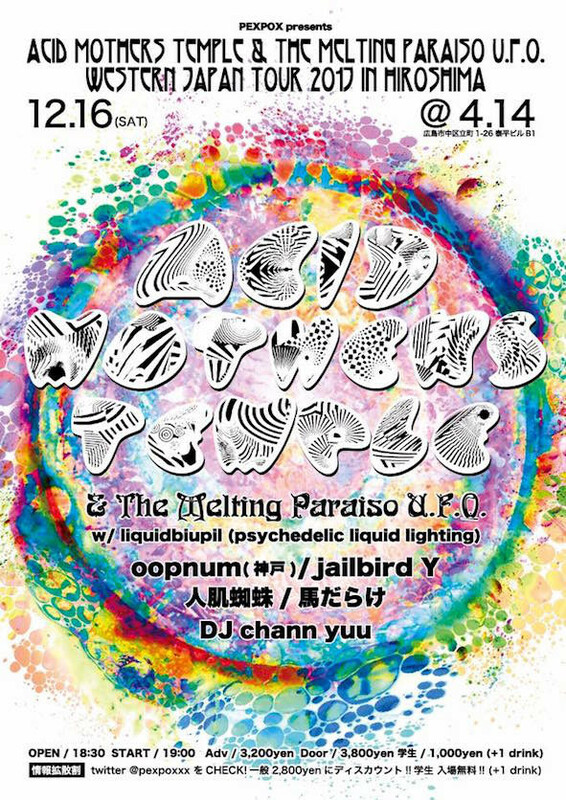 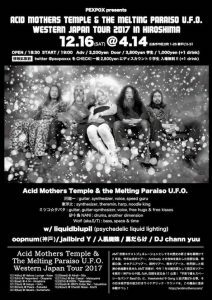 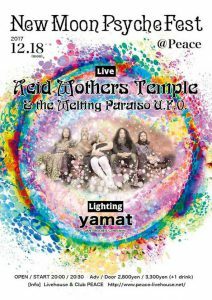 Don’t miss this chance to hear the ecstatic psychedelic sound of Japan’s own cosmic voyagers, ranked alongside in Hawkwind and Gong in the “Best 10 Spaciest Bands in the Cosmos” list!